The farmers’ market is bursting with winter squashes; every table at every turn is offering colorful squashes in all shapes and sizes… or a surprisingly mutant, warty gourd. My roommate and I made a quick dash to the market this morning before a rainstorm hit… once it did, there’d be no leaving our apartment. While most schools started mid-August, Northwestern decided to begin classes the very last week of September, meaning schoolwork ramped up just as the fall weather did. Leaves changing, farmers market stands slowly transforming to winter vegetables, and 900 pages of The Brothers Karamazov to read for Russian Lit. Clearly a quick, hearty and healthy recipe was in order that made use of the best squashes this season has to offer. Two great things about this recipe are how affordable and versatile it is. 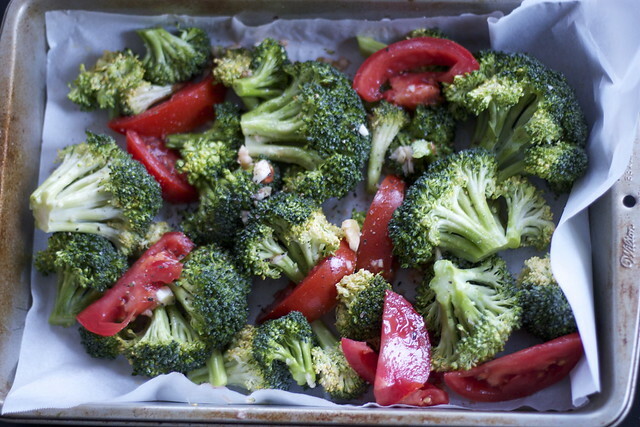 I had a tomato from the farmers market left over, so I roasted that along with the broccoli. But peppers, cauliflower, carrots, celery and/or onion could be thrown in the oven just as easily. As Ivan from The Brothers K famously states, “Everything is permitted.” Okay, that is totally out of context, but in the end the spaghetti squash, chickpeas and spices bring it all together in harmony. 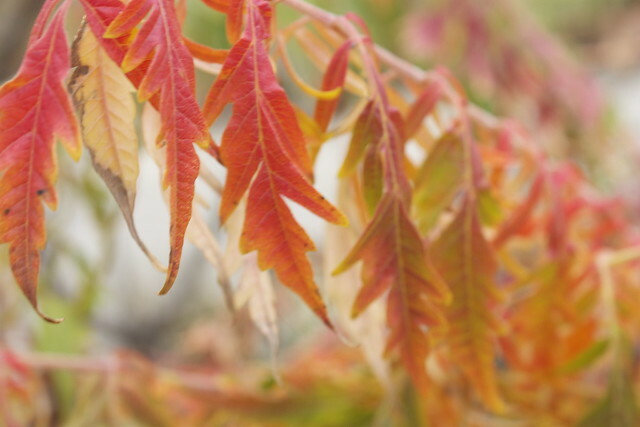 I hope you’re all enjoying the fall weather, rain or shine, and the delicious flavors the season brings along with it!